Since the 1960's we observe paradigm shifts in the context of distributed computing from mainframes to client-server models and back to centralized cloud approaches. The next development will include the distribution of intelligence back to the topological edge of the network. An important architectural design pattern for the (Industrial) Internet of Things (IoT) and Mobile Network Operators (MNO). As shown in the program of the forum, you can expect representatives from Intel, IBM, Huawei, Vodafone, Dell and other industry experts from all over the world. At the forum the latest technological advancements in the areas of Edge Intelligence, Edge Computing, and autonomous Cyber-physical Systems will be presented alongside with best practices and experiences gained from recent testbeds and trials. Leading experts from standards-developing organizations, innovators, first movers and early adopters present their newest achievements and discuss open issues. Connectivity - System interconnection challenges within wired and wireless industrial networks. Real-Time - Response time and reliability challenges for the control of industrial systems. Optimization (Data) - Harmonization and aggregation challenges of heterogeneous data streams. Smart Devices - Process optimization and automa- tion challenges at intelligent edge devices. Security - Data protection and access control challenges at devices, the network and applications. And apart from a get together in the evening, there will also be the chance to enter into face-to-face discussions with our experts during a special matchmaking session a day later at the Industrial Internet of Things (IIoT) Forum on the 8th of November at the same venue (www.iiot-forum.org). As ECF participant you can join in the evening for free and you can request for a 20% discount for joining the sessions. Have a look at the program and register today. 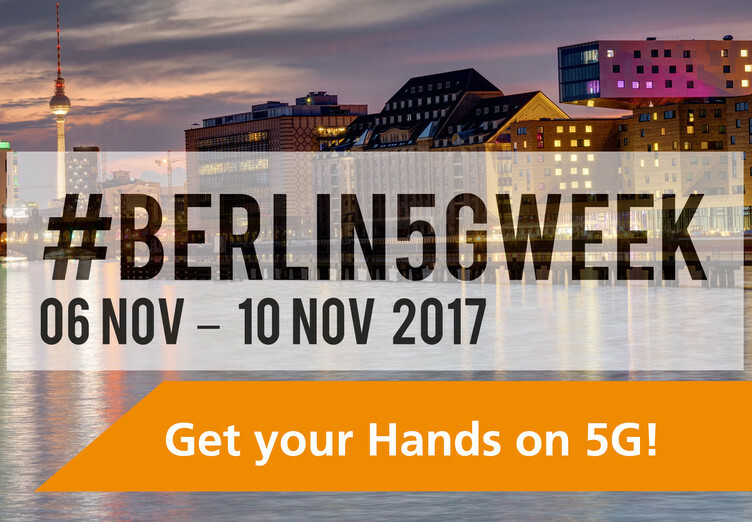 We are part of the #Berlin5GWeek 2017! Visit four events in one week.